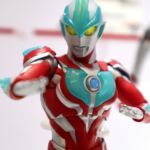 S.H.Figuarts Ultraman Ginga Fully Revealed, Orb Burnmite and More Teased? Earlier at the beginning of last month, we reported that an Ultra Heroes Tamashii Event will be taking place in Shanghai, China. That aforementioned event is currently in full swing, and we now have our first batch of reveals from the exhibition, starting with our first full look at the long-awaited S.H.Figuarts Ultraman Ginga! 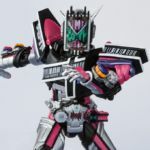 We’ve also been getting reports of other new S.H.Figuarts Ultramen releases being spotted or hinted at the event, of note Ultraman Orb’s Burnmite, and Hurricane Slash forms, in addition to an Eleking Armor option set for Ultraman X though, at the moment, only Ginga himself was shown at the event. The Ultra Heroes Tamashii event is actually a month-long event, so we’re bound to be getting more exciting new Ultraman reveals in the near future. So be sure to check back with us when the time comes. The Ultraman S.H. 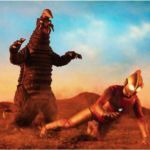 Figuarts range has enjoyed a wide range of aliens and kaiju from both the original series and Ultraseven, but when the line moved onto Return of Ultraman last year things seemed to be awfully quiet in comparison. 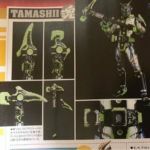 However fans of the adventures of Ultraman Jack can now rejoice, as Tamashii Nations reveal S.H. Figuarts Black King. Appearing in episodes 37 and 38, a pivotal two-part story in the series and widely regarded as one of the best classic Ultra stories, Black King is the kaiju bodyguard of Alien Nackle. The S.H. 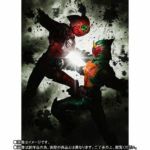 Figuarts version will be released as a Tamashii web exclusive in July, with a price tag of 7560 yen. Preorders will open on February 16th. Are you excited for more classic Ultra kaiju releases? Does this mean an S.H. Figuarts Alien Nackle could be on the way? Check out the full range of images and discuss this figure after the jump!